According to my sniffing around there are some rumours of a new High Elves launch in April this year (2013)! Please take it with a pinch of salt, but I’m looking forward to it anyway. I sure do hope they fix the problems and make HE more competitive. There is a rumour from Ghorros over at the Herdstone that Adam Troke was asking about what folks wanted from the next High Elves book. Could be nothing. Could be he taking another swing at High Elves. This is a possibility as I heard Adam moved from his job on the web team back to games development about a year ago. I assumed this was Lord of the Rings related but it could just as easily been because High Elves were back on the menu. There is solid information on who the lead writer might be. • There are no rumours about the content of the book. Dragons becoming cheaper or stronger. T8 Star dragon with 8 wounds. These rumours have been brought into question by hastings. Hastings has said that not only is his flying chariot rumour accurate but it is pulled by Eagles. Indeed, in spanish forums people are discussing a huge pack of rumors since a couple of weeks ago. There will be new model to Imrik in a huge dragon (Caledor Dragon? ), according to rumors. Hastings’ flying chariot do exist, but may not be pulled by eagles. There will be a shrine/anvil (similar tu lumynarch/hurricanum) of two known elven gods. Some buffs could be magical attacks/flaming attacks/ASF. Dragon MC will be modelled taking Thaindon’s dragon as inspiration (that elf dragon rider from the 3rd edition). Like current HE plastic dragon (which takes inspiration from a very old GW dragon). Do not expect to see spears/LSG core units in may. The rumor holds truth, but that belongs to a further miniature wave. “Silver boys” coming later on too. ASF will be lost as rule armywide (Harry said that alredy). This would mean a slight point decrease on miniatures. A less likely rumor talks that there will be a “Caledor dragon”, apart from current dragons. SMs may have a path-choice attacks (+1 to hit/KB/ward save…), lions being slightly more focused in monster-killing; lion pelt would protect also in CC. Apparently there will be new miniatures for Teclis and another “plastic mage (Belannaer we hope)”. Plus: intrigues at court coming back (maybe different from 6ed), no valor of ages (probably changed into a new rule). There will be a new racial rule shared by all elves (we are discussing if this could be something related to elven swiftness). There will be more core units (probably four or five slots), and more rare slots (probably three to five slots). Cruddace was not the HE designer, and a team would be working in all three elven races at once. Remember, all this are just rumors. Source wants to be anonyme. (Nopuiiidorl found these posted by someone with an anonymous source on a spanish forum). I can confirm the flying chariot. It looks like a tiny boat with wings, and is pulled by a single giant eagle. It looks kind of silly in my opinion, but not much that can be done about that. Still very vague and open at this time. However, I’ll be keeping my eyes peeled and ears open, so you don’t have to! So do stay tune to the latest High Elves News here and also do drop me a message below to share what you are looking forward to in the new edition? COMMENT on UPDATE 27/3/13: I sure do hope that the Silver Helms will be back in core, I’m itching to run my All Cav again. Also I really hope Intrigue at Court does not return. It was the most hated rule in 6th ed that really screwed up the HE army for many players. I’m really excited to hear about the new Citadel paint range from Games Workshop. It seems the pigments are rich, ie white covers over black undercoat, and the gold/silvers are easy to use or don’t get splotchy. Also the washes or shades flow well. Together with many new colors, it should speed up your painting as you eliminate the need for mixing and can paint directly from the pot. As one who struggles to keep up with painting, I’m going to head down to the nearest hobby shop to check them out! Together these twins are the greatest high elf heroes to walk the earth. 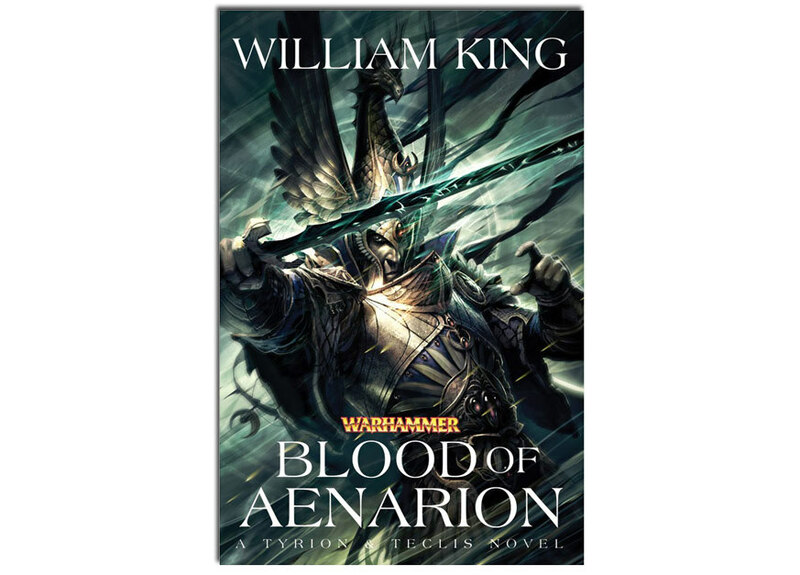 A powerful daemon, banished millennia ago by the twins’ ancestor, Aenarion the Defender, has returned to wreak bloody revenge. Plucked from their home in the wilds of Chrace, Tyrion and Teclis must learn the arts of war and the mysteries of magic, as well as the secrets of survival in the Phoenix King’s court. Hunted by daemonic assassins and beset by treachery, they must fight to survive and claim their destiny as the greatest heroes of the age. Pre-Order it now at Black Library site. 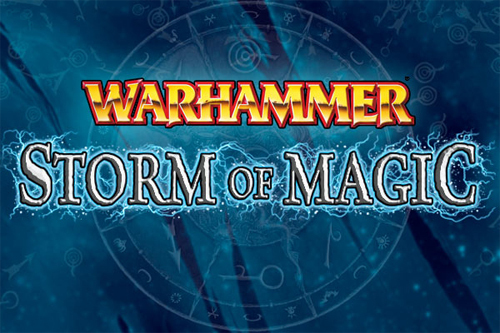 GW has released a awesome preview of the Storm of Magic on their site. Unfortunately it does not seem to be any new models for our beloved High Elves but it seems now monsters are interchangeable between races. So our well missed Griffin or Pegasus riding Heroes are now back! But be prepared for an awesome blast from the past! The High Elves are amongst the most powerful magicians in the Warhammer world and with access to every Lore of Magic and High Magic, they can choose the spell list they feel is most suited to the battle they are about to fight. High Magic now contains Coruscation of Finreir, the only spell in the game that can create new Arcane Fulcrums, which give High Elf mages a distinct advantage over lesser races. Just be sure to protect them with a suitable bodyguard – a Dragon works nicely in this role. Veterans will remember the well loved Coruscation of Finreir! 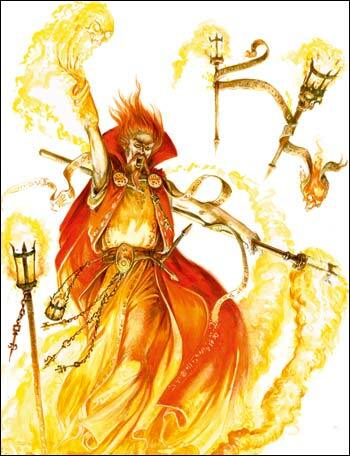 Though originally part of the lore of fire and Finreir was a human wizard if I can remember, I’m looking forward to see how GW is going to spin the fluff on this one. But wait there is more! I’ve shamelessly lifted the entire list of High Elves goodies (below) from the Storm of Magic mini site. Of all the races of the Warhammer world, the High Elves are arguably the most adept in the ways of magic. It is therefore no surprise to discover that they are highly suited to Storm of Magic games. Able to wield High Magic and any of the eight Lores of Magic, a High Elf Mage is spoilt for choice with his easy access to a huger number of powerful Cataclysm spells. The Lore of Metal is potent in the hands of the Asur, with Meteoric Ironclad granting their expensive but fragile units a 2+ ward save, and Quicksilver Swords making a humble unit of Spearmen utterly deadly in conjunction with their Speed of Asuryan and Martial Prowess special rules. But remember, High Magic also grants you access to the incredible Coruscation of Finreir, which allows you to summon forth a new Arcane Fulcrum should you so desire! Dragon Mages are susceptible to sustained enemy archery, but really come into their own in Storm of Magic games. Indeed, the 3+ ward save provided by the Arcane Fulcrum’s defensive enchantments will make a Dragon Mage incredibly difficult to shift from his lofty perch. The additional casting dice generated each time a Dragon Mage unleashes a spell will also make 20+ to cast spells such as Fireball Barrage and Withering Heat a relative cinch to unleash. A brief glance at Vaul’s Forge reveals some fantastic magic items available to the High Elf army. For example, Folariath’s Robe will render your Mage all but immune to the enemy monsters that are so prevalent in Storm of Magic. On the topic of immunity, if your opponent is getting a bit trigger happy with his devastating new Cataclysm spells, why not solve the problem by protecting your most valuable unit with a Battle Standard Bearer carrying the Banner of the World Dragon? The Amulet of Fire is a bargain at 20 points, lending a Mage some excellent protection against both enemy magic and Flaming Attacks. High Elves already have access to a number of monsters in the guise of Griffons, Great Eagles and three grades of Dragon. However, the availability of really tough bound monsters such as Giants, Ghorgons, Arachnarok Spiders and Stegadons can lend the Asur a solid core around which their elite units can fight. Fans of Tiranoc Chariots can also rejoice, as you’ll finally be able to use all your spare White Lions by fielding them as an independent pack of War Beasts in their own right! Oh MY! Packs of White Lions? Wow! Mystical monsters aside, I’ve always felt a little sad that our High Elves magic has been dumbed down since the 5th edition, so this new expansion, firmly puts the High Elves back on top in the magic arms race. I’m really looking forward to this expansion, and I hope it can some how comfortably fit into casual games without players screaming “Cheese!” all the time. What about you? I love to hear your thoughts. I was pretty excited to hear (in early April) about the new Warhammer Fantasy Battles expansion set: Storm of Magic that will be launched in July. Veteran players would probably remember that the early editions of Warhammer was all about expansions. I still have the old Battle Magic expansion lying around somewhere in my home. But I digress, I’m excited about Storm of Magic because it means our beloved High Elves may finally return to magical dominance, and rightly so! The Winds of Magic are tumultuous. Drawn by Morrslieb, they are prone to rise from a strong gale into a howling tempest. And when they do no kingdom or realm is safe. Monsters awaken from their slumber and are summoned from their lairs at the bidding of sorcerous masters. Armies assemble, ready to defend their borders or seize the opportunity to gain limitless power. It is in these desperate times tenuous pacts between wizards and creatures of darkness are sealed to create alliances never thought possible. A time of doom and great deeds is at hand. Will you rise to meet the storm? Announcing the impending arrival of Storm of Magic, the latest and largest Expansion for Warhammer, the Game of Fantasy Battles. Launched in July 2011, Storm of Magic describes what happens when great eldritch maelstroms roil across the lands. Magic becomes far more powerful and there is a whole range of Cataclysm spells to cast, unleashing untold devastation on the enemy. Arcane Fulcrums burst from the ground, not only acting as loci for the swirling energies that pervade a battle fought amidst the Storm of Magic, but changing the way a Warhammer tabletop looks and interacts with your armies. With such things so crucial to your Storm of Magic games a new range of Warhammer scenery and Wizards will soon be released in time for you to wage cataclysmic battles. Then there are the monsters. When the Winds of Magic blow with such strength, the fell creatures of the world gravitate towards the tempest, slithering from deep tunnels or emerging from mountain lairs. July is still a few months away; we are in the calm before the storm so now is the time to prepare. Bolster your forces, prepare your regiments and summon your wizards in time for the ultimate war. Keep checking White Dwarf and the website for updates, for when the storm hits nowhere will be safe! Here are some rumors I’ve found thanks to the usual Warseer and various forum communities. This is latest update April 16th. – releases spread out over a few months. So there you go…again I’m pretty excited, but rather annoyed to learn that Tomb King only enjoys Level 5 wizards. I may go take a look at the TK rules now.